Over three days, May 24–26, 2017, more than 1,000 leaders in the STEM fields will converge on San Diego for this sixth annual conference to address challenges and solutions in the nationwide STEM debate and contribute key insights to propel the movement forward into the near future and beyond. STEM Solutions gathers the brightest minds in business, academia, and government to ensure STEM continues its upward surge of momentum. 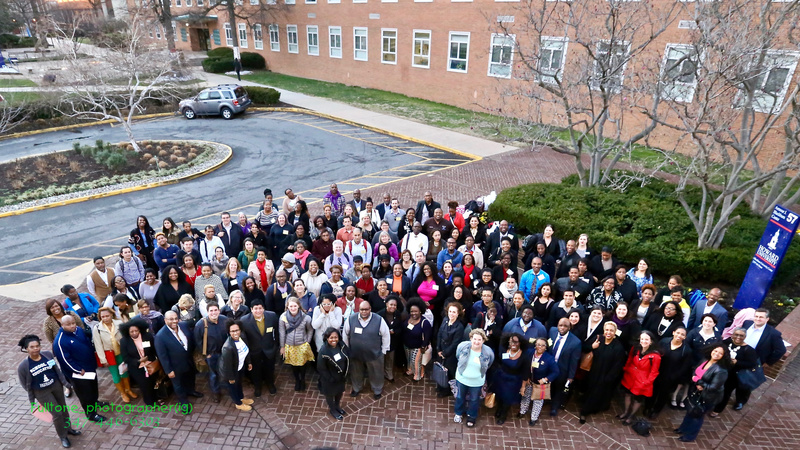 Through an engaging schedule of keynote speakers, roundtable discussions, and breakout sessions, this highly regarded national conference—consistently ranked for the quality and caliber of its speakers and content—is poised to continue to call attention to the STEM pipeline challenge and the shortage of skilled workers in the STEM fields. As an advocate for this important cause, your support is needed to spread the message. Secure your seat at the table and join this important discussion. Space is limited, so we encourage you to register soon at www.usnewsstemsolutions.com. By using the discount code SSECVIP on the attached invitation, you will bypass payment and attend as our guest. The Smithsonian Science Education Center's Acting Division Director for Curriculum & Communication, Brian Mandell, and Education Technology Specialist, Ashley Deese, participated in the Smithsonian Youth Access Grant (YAG) Forum on Thursday, February 23rd at the Smithsonian Institution Building. Brian and Ashley presented an update on Aquation: The Freshwater Access Game—a digital simulation about science, engineering, and policy that allows students in upper elementary school to better understand the interaction of science, engineering, and policy as they relate to water access and water equity on a global scale. 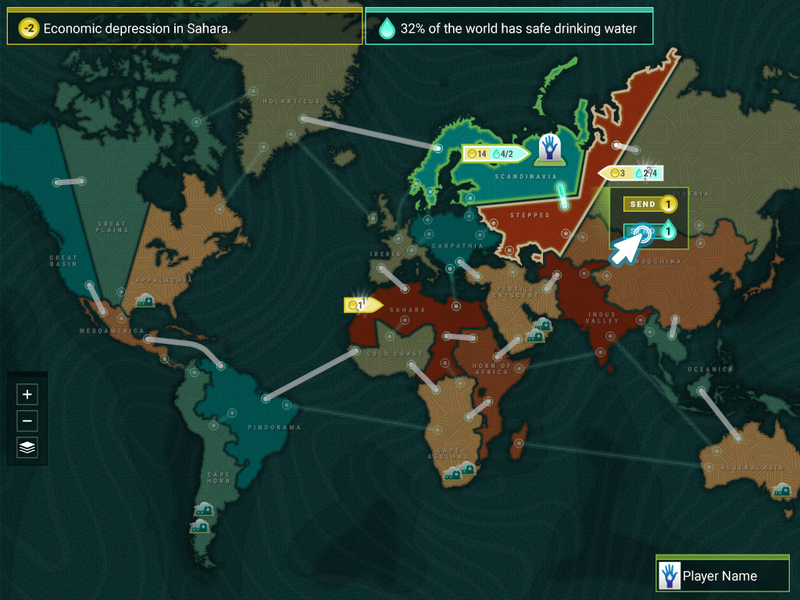 To date, SSEC has already done extensive field testing and much of the game design and coding for the simulation, but with the YAG we are now able to perform final quality assurance, develop quality art assets and interfaces, and publish the simulation as a stand-alone app in order to maximize accessibility. 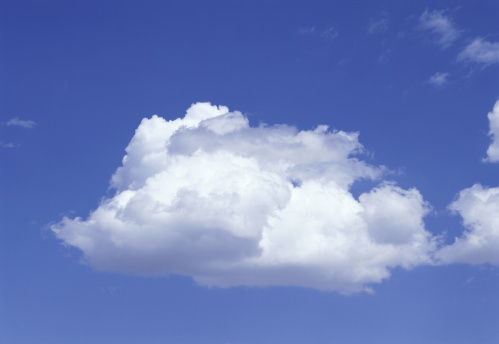 While it’s true that clouds contain water, they actually aren’t made of water vapor. If they were, you wouldn’t be able to see them. The water that makes up clouds is in liquid or ice form. The air around us is partially made up of invisible water vapor. It’s only when that water vapor cools and condenses into liquid water droplets or solid ice crystals that visible clouds form. Read more on STEMvisions Blog. What happens when ocean currents and air masses interact? Find out in Weather Lab! Take on the role of a meteorologist by predicting spring weather and how people should dress for it in particular regions of the United States. 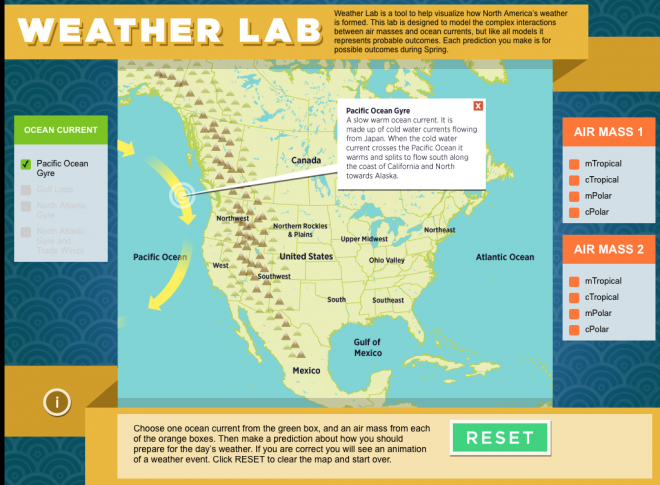 Weather Lab is a tool to help visualize how North America’s weather forms. This lab is designed to model the complex interactions between air masses and ocean currents, but like all models it represents probable outcomes. Each prediction you make is for possible outcomes during spring. Featured Video Good Thinking! : Make It Rain! explores student misconceptions about phase changes, weather, and the water cycle and reveals some of the pitfalls of common representations. Each episode of Good Thinking! is grounded in findings from peer-reviewed science and education research, has been vetted by experts, and was developed with national standards in mind. Copyright © 2017 Smithsonian Science Education Center, All rights reserved. You are receiving this email because you opted in on our website, in-person, or by email. Thanks for your interest in the Smithsonian Science Education Center!